Brendan Rodgers is confident that Scott Brown will have overcome a knee injury in time to feature for Celtic in their Champions League clash against FC Alashkert. The Bhoys will travel to Armenia for the first leg of their first qualifying round tie in buoyant mood following their 7-0 victory against Shamrock Rovers in a pre-season friendly on Saturday. However, Rodgers may be without injured duo Leigh Griffiths and Marvin Compper on Tuesday. 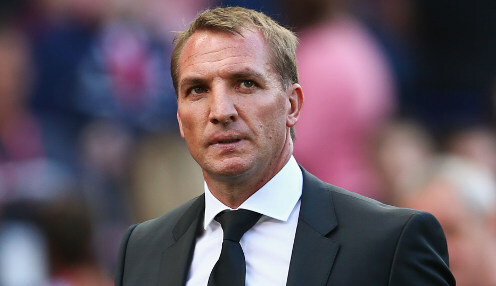 Former Liverpool boss Rodgers said: "The idea is to get over the two legs and get through. The conditions will obviously be more challenging for us but at this stage in the season we couldn't be better prepared. "Scott [Brown] is okay. He had a niggle when we were away in the pre-season training camp in Austria. It flared up a little bit. He should - and hopefully will - be fine for Tuesday. It's a little issue behind his knee. It's nothing overly serious and it just stiffened up." FC Alashkert were re-founded in 2011 after folding 11 years earlier and are based in the Armenian capital, Yerevan. They have won the Armenian League title for the last three seasons and have reached the second qualifying round of the Champions League in each of the last two campaigns. They were knocked out by Dinamo Tbilisi in 2016/17 and BATE Borisov last term. Celtic can be backed at 2/7 win Tuesday's first leg and at 4/1 to win the match 2-0. Meanwhile, Rodgers' team are 1/1000 to win the Scotland Premiership title once again in 2018/19.